If you succeed I'll fetch you a beer at IIW2009b. These two are the front and back side of the handout the Information Card Foundation provided at DIDW2009. 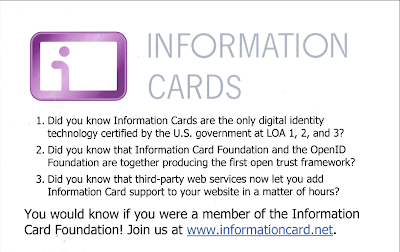 Visit Open Identity Solutions for Open Government to learn more how Information Cards are used in Open Identity and join the discussion at the Internet Identity Workshop. Register here! 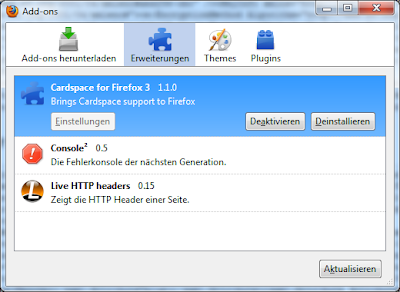 Firefox 3.5 Release Candidate is ready. 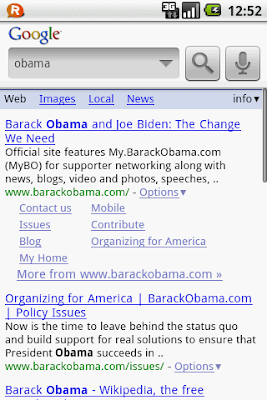 If you don't have the latest and greatest browser please download it here and then the openinfocard selector of course. 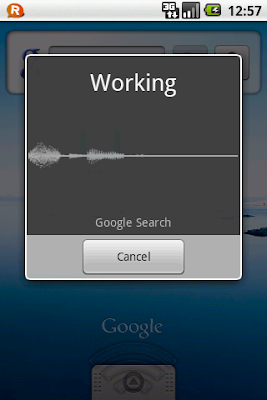 The recorded sound is then send to a Google server, I guess. Has somebody implemented speaker verification for the G1? 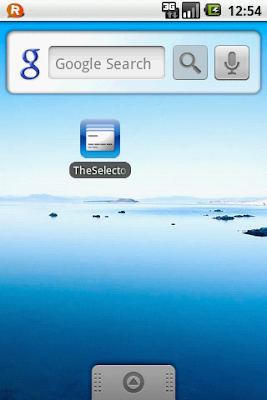 This would be soo natural to use the mobile's microfon to verify the user! Hm, "privacy" is a little bit better to see. 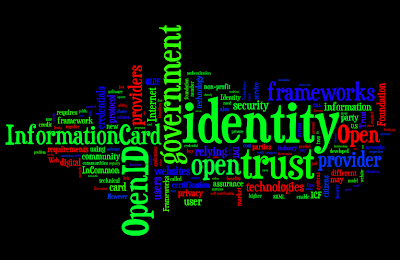 "identity" still lost in the cloud. 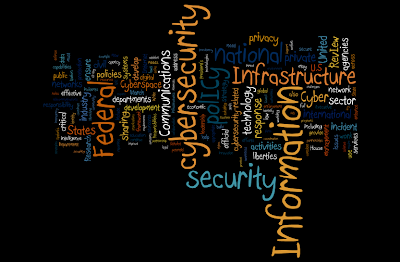 A semantic wordle is needed it seems. Deutsche Telekom launched its developer program called developer garden which offers several telecom services by providing APIs. One of these services is an IP location service that allows to resolve an IP address, if it comes from Deutsche Telekom's access network, to location information. 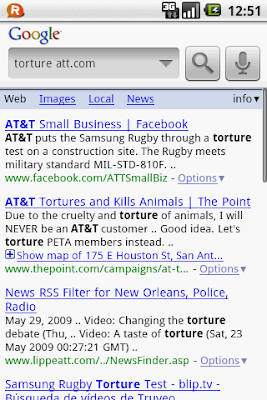 While the retrievable location information is quite coarse it is still useful. My favorite use case is to restrict online banking to the country I live in or to the region or city I live in. This restriction would make online banking a little bit safer, although I know this is no silver bullet. Anyway, it is a good thing that the location information is not too accurate. I don't want any server to locate me. Viewed from the privacy angle even country or region/city information might be too much already. 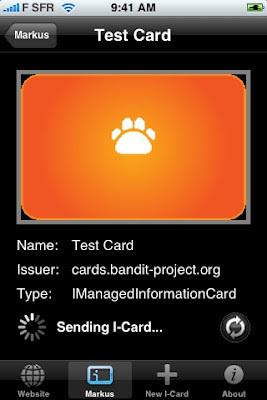 Today I have put this new IP location service and a security token server together. 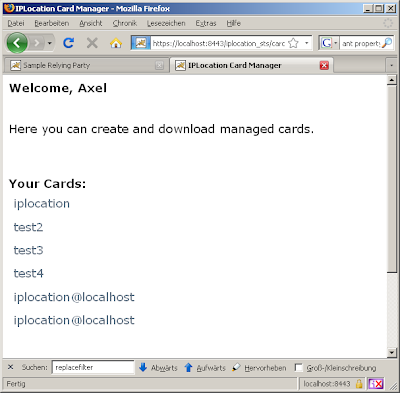 I wrote an iplocation_sts that offers Information Cards that contain location information. 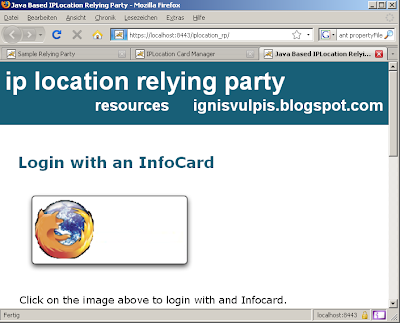 And I wrote an iplocation_rp that extracts this information from the security token. And it works! Yeah! Although I don't expect this to be the killer application which will make me rich or boost my career :-/ ... still I like it nevertheless. 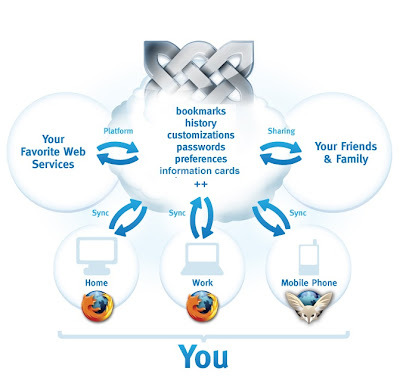 You visit the Identity Provider with your Information Card enabled browser e.g. 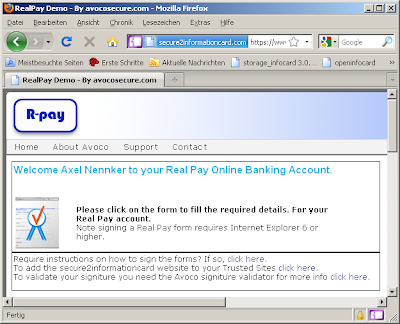 Firefox 3 with openinfocard. 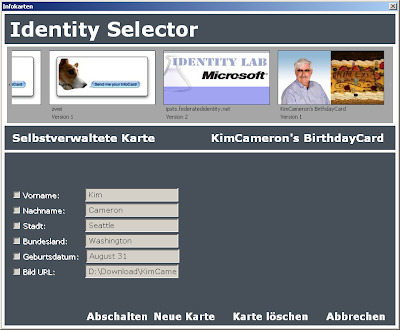 You create an account and an Information Card that you download and install into your selector. 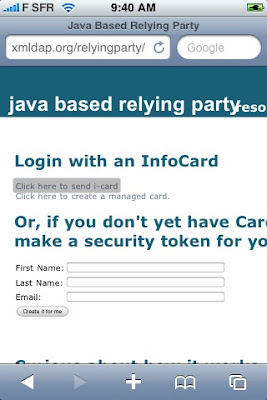 that finally is send to the relyingparty. Now it is clear that I live in the region "Berlin" and that the country code is "de". Correct. 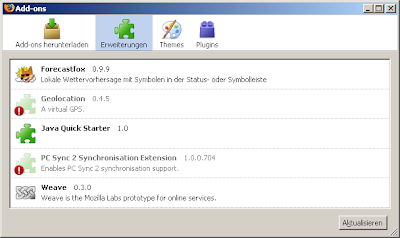 Currently this is all installed only on my local machine but if Chuck installs the required libs on xmldap.org then you can play with it (if the access provider your ISP uses is Deutsche Telekom). 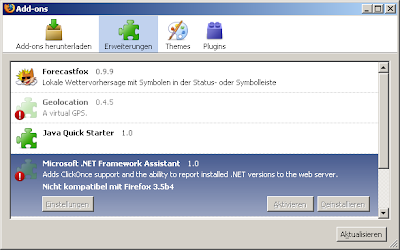 Microsoft published an update that allows to deinstall the clickonce support for Firefox without twiddling with the registry. Good. 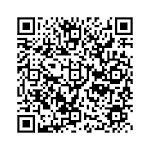 Yesterday I flashed the firmware of my G1 Android Developer Phone to version 1.5. The filmed hexbug was a present given to attendies of the Deutsche Telekom Developer Garden launch party. Nice. Java SE 6 Update 14 has shipped. 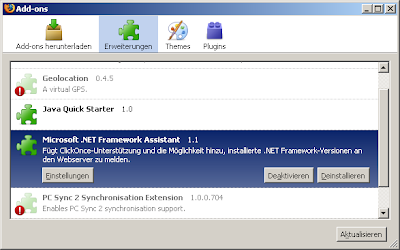 "This release is Windows 7 support-ready and includes support for Internet Explorer 8, Windows Server 2008 SP2, and Windows Vista SP2. New features include the G1 garbage collector, plus performance and security enhancements. Get it now!" Java 5's end of life is only three month away. 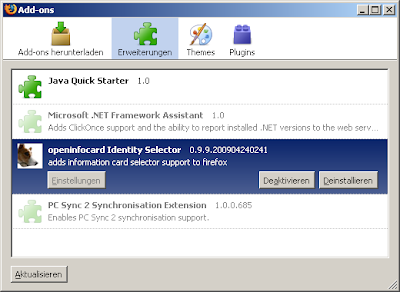 If you are still running Java 5 make sure that at least this is java5 update 19. 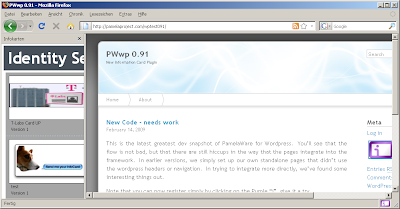 Some time ago I changed the HTML code that the xmldap.org site produces to XHTML. Sad. When I use IE8 and Cardspace to present an Information Card then IE8 offers to store a file to my local disk... 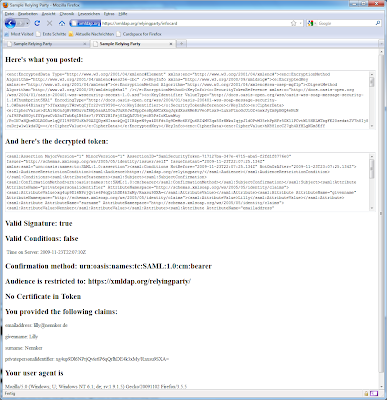 When I post that file's content to the validator it verifies that this is valid XHTML 1.0 strict. And the content-type is "application/xhtml+xml". Maybe this is the problem? Don't know whether I should care... Google does not consider IE8 to be a suitable browser (taken from here). 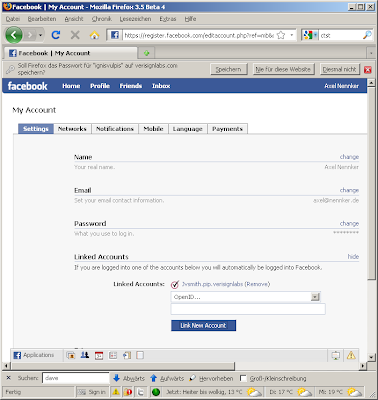 Firefox is my browser and I assume that the others implement xhtml correctly too. 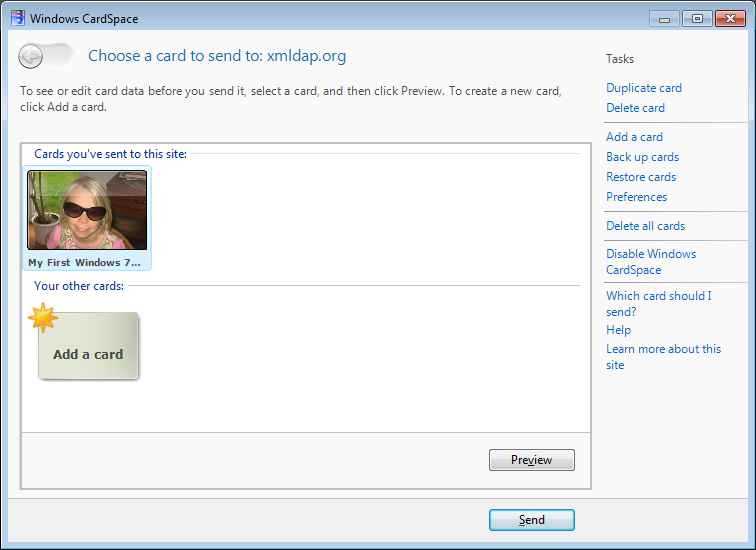 Anyways, if one IE-enthusiast offers a solution that is standard conform then I am happy to improve the xmldap site. Normally, before the selector requests a security token from the IdP's tokenservice endpoint it asks the metadata endpoint of the IdP and retrieves that metadata which tells it whether transport-security or symmetric-binding and other things are to be used in the token request. I suggest that we define a simple-profile that basically skips the metadata retrievel step and replace it with default data. 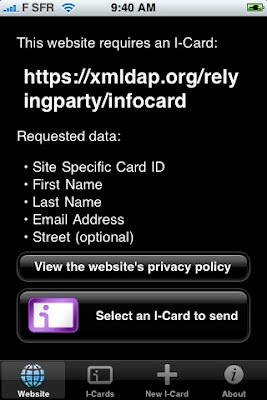 The IdP that wants the simple-profile to be used just issues Information Cards that do not contain the metadata endpoint information. 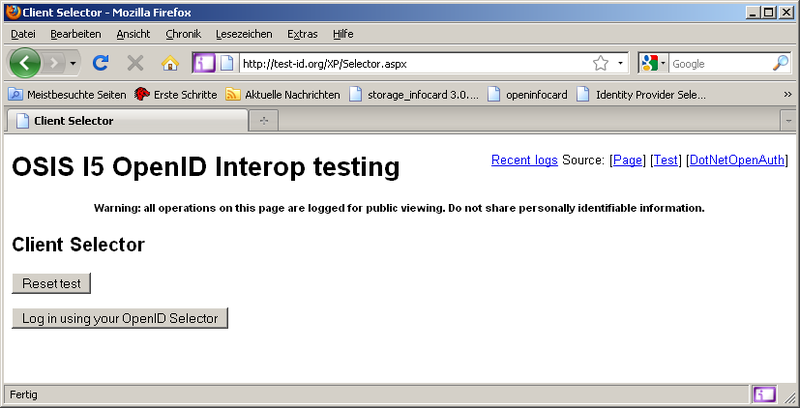 Transport Security must be used; the IdP tokenservice uses SSL/TLS. Maybe there are other assumptions that I just can not remember now? What are the security implications? Please help to make the Identity Metasystem as simple as possible (but not simpler). 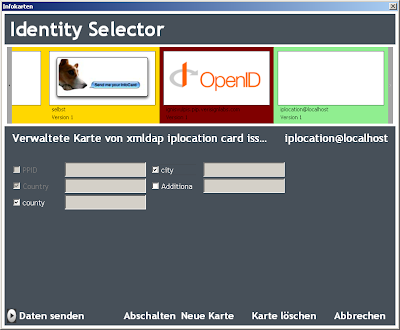 I just uploaded a new version of the openinfocard selector to http://code.google.com/p/openinfocard/downloads/list. The changes are mainly internal but huge and important. After over a year of despair caused by several java plugin2 hiccups and a lingering "stale reference to a java vm"-error I think that I now have improved the code so that development of new features makes much more sense then before. I had the feeling that SUN and Mozilla are pulling away the ground under my feet, but now I think this period is over. Some improvements are "visible" when you try the selector with "complicated" IdP's. I improved the metadata parsing through hefty use of E4X. 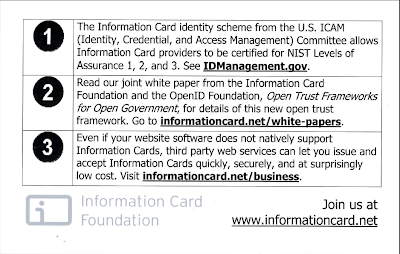 The OSIS endpoints do not fall into this category but if you test this openinfocard version e.g. with a Geneva server you might see what I mean. We have set up Geneva servers in our lab and openinfocard immediately failed. I fixed this; although I am sure that there are WS-* variants that still cause the selector to flip. Jave6 u12 or newer is now a requirement. I have only tested it on Windows XP SP3 32bit but I am quite confident that this selector runs everywhere where Firefox 3 and java6 is available. - code cleanup. Throw away now unused code. Don't know when this started but currently the Firefox user-agent string is polluted by new a new addition "(.NET CLR 3.5.30729)". Maybe the new add-on "Microsoft .NET Framework Assistant" is to blame. 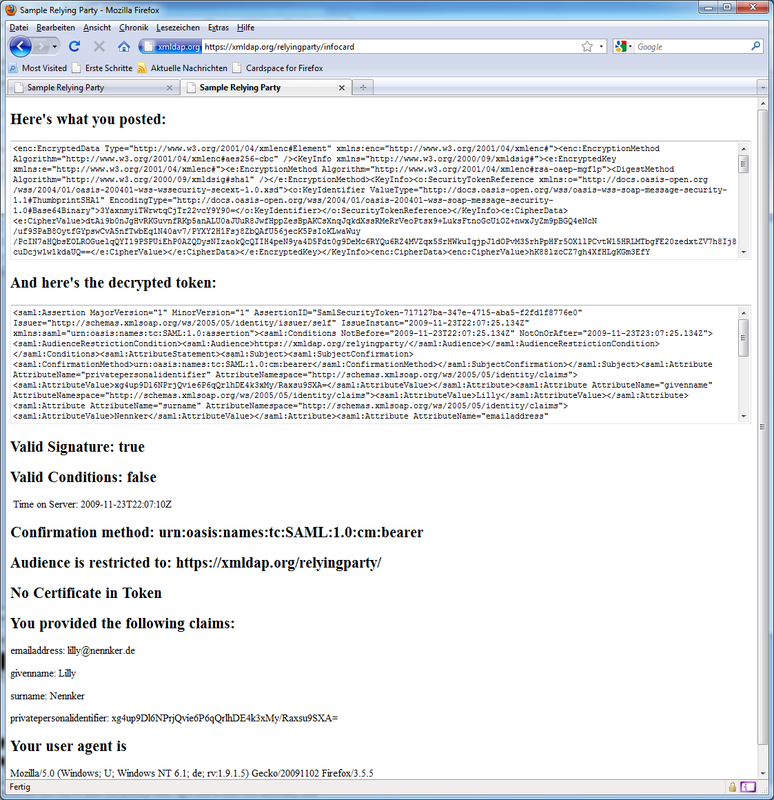 But although I disabled it the user-agent string was not reverted to normal. Who gave Microsoft the right to blurt about the fact that .NET3.5 is installed on my computer?! Well, others are not better: If the Azigo Selector is installed then it adds itself to the user-agent string too. 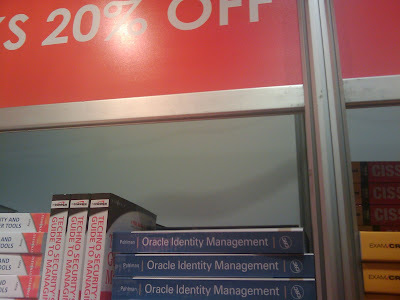 the book price as seen in the RSA conference bookstore today. I am sure this has nothing to do with the current aquisition of opensso by Oracle from SUN, or has it?! 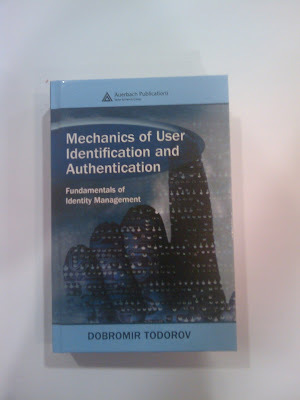 contains everything about the past of identitymanagement and authentication on Unix and Windows systems but nothing that is newer than - let's say - three years. What is that good for? A door stopper or a lesson in what does not scale and is inflexible?! Living in interessting times... (still). 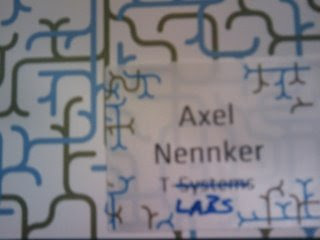 This merger will be a hot topic for the identity people here at RSA conference too, I am sure. Can't wait to hear what e.g. Uppili and Pat say. I wanted this video to loop forever but could not find how this is possible. 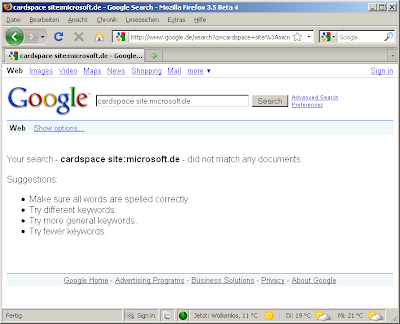 Maybe Microsoft should open source CardSpace Geneva; then we could help to bring it into the world. I am sorry that xmldap.org is down. 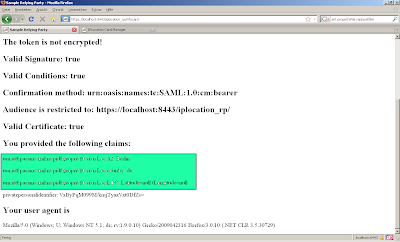 Nulli Secundus, the former employer of Pamela Dingle, hosted xmldap.org until now. A big thank you for that. Chuck and I have not found an alternative until now. Today I tried a new social network quillp that claims to help to establish a new cosmos for me by knowing how I like or not-like books I have read. I seems I am special and not many readers are similar to me. Or they don't have their database and algorithms straight. Well, about every ten click leads to a .NET error like: "table 0 not found". 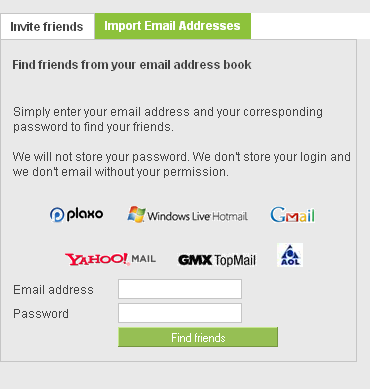 What I do not like about Quillp: Somebody must explain oauth to them now! Anyway: I subscribe to the mantra "publish early, publish often" too. And "if your not embarassed by your first version then you published to late". Quillp has some work to do but I like the idea and happily divulge my bookshelve to them but not my password to other sites. 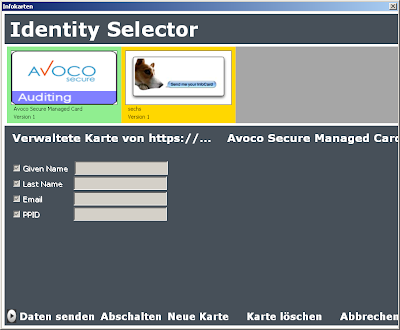 And maybe passwords should be stored as Information Cards to leverage THE SELECTOR's anti-phishing capabilities to protect username/password credentials.